Mankind has always had a semi-violent nature as its driving force. Over the years, people have obsessed over finding the best ways to dispense of adversaries as well as win conflicts amongst each other; however, not all human violence existed merely for warring purposes. Human sacrifice is known to have been a fundamental part of many historic “civilizations” for a large variety of reasons. Although most human sacrifice was carried out for the sake of religion, at times their cruelty hardly seemed worthy of the purpose. Warning: some of these forms of sacrifice are downright cruel, so if you aren’t interested in learning all of the gritty details, stray away whilst you may (as they say). In early pharaonic civilization, pharaohs, once deceased, were buried along with their many servants (who were possibly still alive at the time of burial). This was done in accordance with the belief that they could serve their ruler in the afterlife. Evidence found by certain archaeologists suggests that the servants who were to be entombed with their ruler were in some sort of drug-induced state when this happened. I guess the drugs took their minds off the fact that they were walking to their deaths as they entered the tomb. Each year in Dahomey (now known as Ghana) within West Africa, there was a large celebration that involved gift-giving discussion amongst leaders and, incidentally, large amounts of human sacrifice. 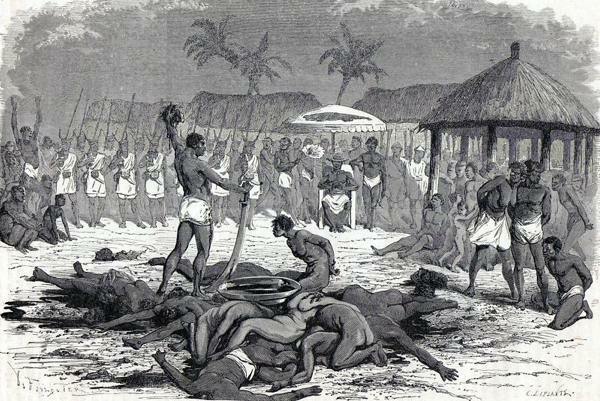 Many slaves of the area were killed at this time, along with war captives and criminals, to honor the deceased kings of Dahomey. The victims were generally sacrificed by decapitation. Decapitation was utilized so much at these events that the ceremony’s name (Xwetanu) literally translates to “yearly head business”. 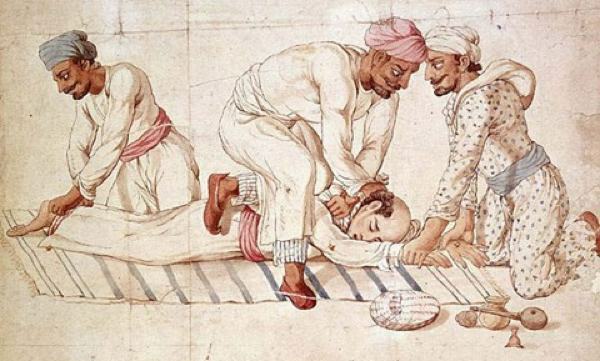 The “thuggees” – or as we would say nowadays, “thugs” – were a fanatical religious group in India who were infamous for their ritualistic assassinations, carried out in the name of the Hindu Goddess Kali. These killers traveled in groups throughout India for hundreds of years, performing their rituals in order to please their Goddess. In an attempt to find victims for their sacrifices, the Thugs would join groups of travellers, gaining their confidence before surprising them in the night and strangling them with a handkerchief or a noose. The bodies would then be robbed of their valuable possessions, and buried. Leaps of Faith – or Did the Mayans Push Them? The Mayans held a strong belief in a divine power, which they thought was contained deep within limestone sinkholes (or “cenotes” as they called them). They believed these to be portals that led into the underworld, and would cast their own people into them. 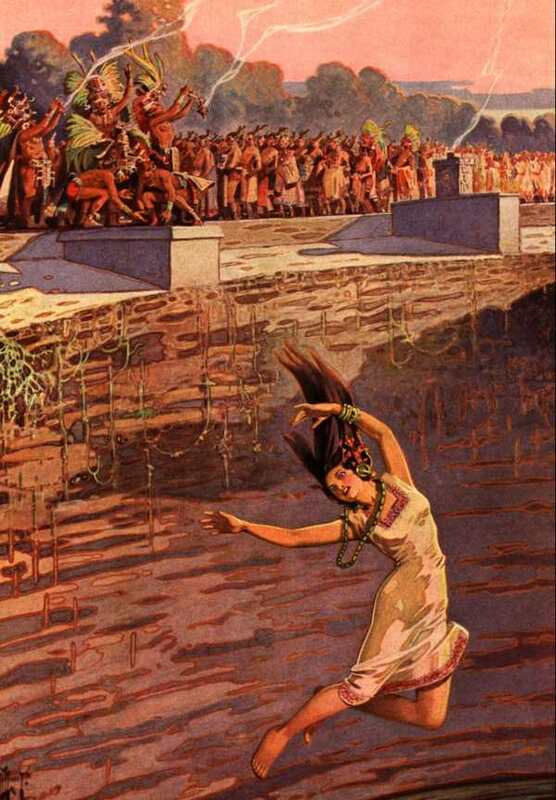 According to their beliefs, those thrown into the cenote would not die. Of course, they were never seen again either. Recent discoveries of human remains in these areas tell a different story than what the Mayans would have had us believe. Fractured skeletons of old and young people from those times don’t paint a portrait of enlightened victims. Although human sacrifice was usually performed for ancestral deities in early Chinese civilizations, there were other motives for such offerings. One such alleged variation in sacrificial purpose was to strengthen a structure or a building. 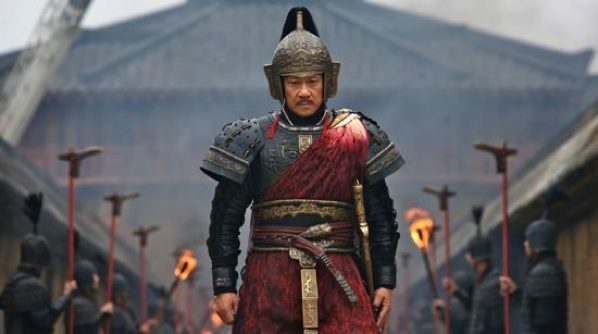 One of the most famous examples of this was the sacrifice of the crown-prince of Ts’ai after he was caught in a battle which brought ruin upon his kingdom. He was sacrificed with the intention of strengthening a dam. There are many early Roman references to the extensive practice of human sacrifice by the Celtic Druids. Caesar himself explained that the slaves and dependents of high-ranking Gauls would usually be burnt alive, along with the body of their deceased master. Other types of sacrifices included hangings, for the God Esus, and drownings, for Teutates. 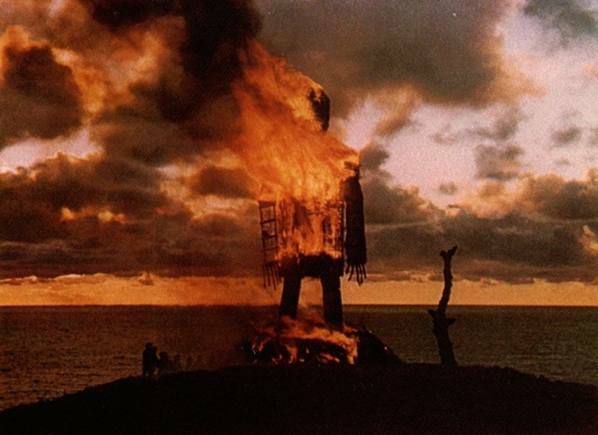 But the most well-known form of sacrifice allegedly practiced by the Druids was the wicker man method. A large effigy in the shape of a man, made of sticks, was erected, and living people were placed within it. The creation would subsequently be set ablaze, along with all those held within. 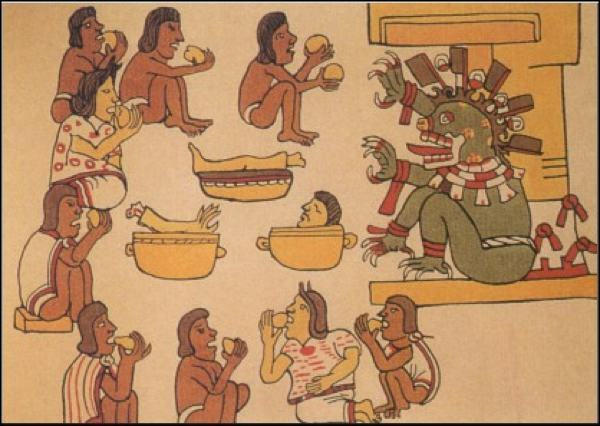 The Aztecs are rather famous for the many sacrificial rituals they performed at the height of their civilization. One of the most famous rituals involved the removal of a living person’s heart, in honor of the great sun god Huitzilopochtli. However, there were also several other types of sacrifices performed by the Aztecs, such as offerings made to Tlaloc, Xipe Totec and the “Earth Mother” Teteoinnan. Tlaloc’s offering required “weeping boys” to be ritually murdered; sacrifice offerings made to Xipe Totec were bound to a post and shot full of arrows, before being skinned by a priest. 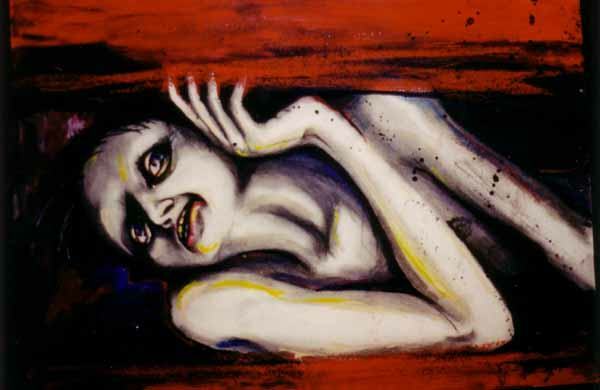 The Earth mother Teteoinnan’s offerings generally required skinned female victims. They all had one thing in common though – a less-than-pretty ending as one of the countless “chosen” ones. The minute a woman became a widow in Fiji, she was destined to be strangled to death. 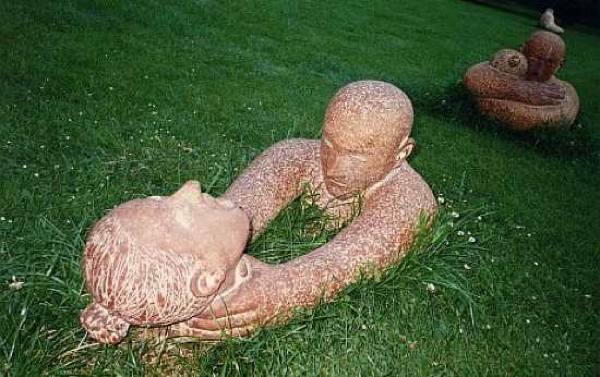 This practice was based on the belief that a deceased husband should be buried with his wife. In the case of great chiefs, their deaths simultaneously brought forth the asphyxiation-based demise of his various watina lalai (little wives). These women were then referred to as the thotho (carpeting of his grave). To make things even worse, it was typically the woman’s brother’s duty to perform the task, or at least superintend it. Perhaps the “honor” of carrying out such a task was enough to take the brother’s mind off of the fact that he was murdering his own sister. In Japan, a ritual known as Seppuku was practiced for a long time, and was considered to be one of the most prominent elements of the “Bushido”, a.k.a. the way of the warrior. It consisted of a semi-suicidal ritual in which the warrior was required to cut himself. The ritual was carried out for a variety of reasons – such as the loss of one’s honor. 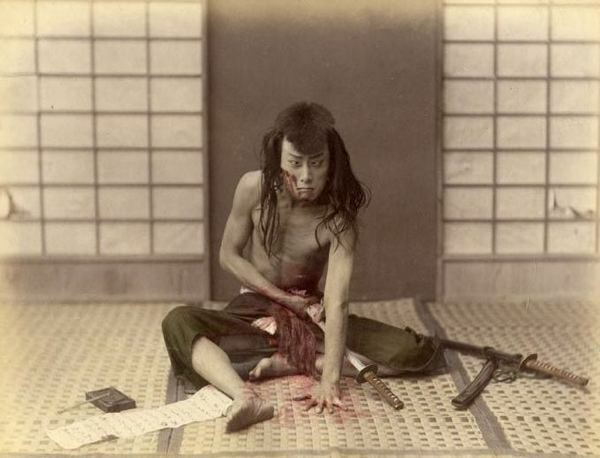 Committing seppuku served as a means of restoration for one’s own family line. Beforehand (in the case of planned seppuku), a samurai would be bathed and then dressed ceremonially in white robes. He was fed his favorite meal, and his instrument (often a special knife or a short sword) would be placed on a plate before him. The warrior would then prepare his death poem. Once his final acts had been concluded, he would open his robe, reach for the knife, and disembowel himself. A kaishakunin (his chosen second) would then end his life with a precise slice – called a “kaishaku” – to his neck. 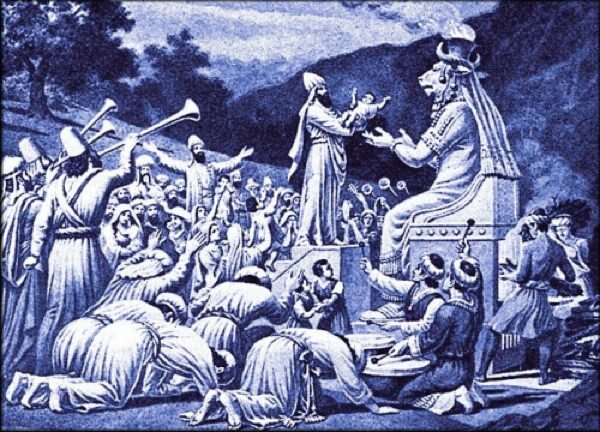 According to various accounts of Phoenician and Carthaginian civilization, the people of these groups religiously sacrificed children. This was apparently the most extreme sacrifice that could be performed at the time, and was therefore the best means for protecting the entire community. The sacrificial areas of the Phoenicians were known as “topheth” (the roasting place) and the sacrifices themselves were referred to as “mulk” (or “King”) offerings.